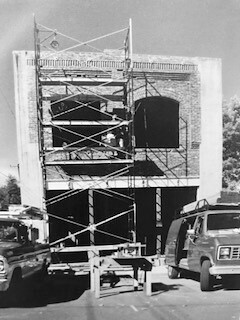 The Peerless Rooms Building was built in 1904 by Oscar and Lucinda Ganiard, who built many commercial buildings in Ashland, including the Ganiard Opera House. 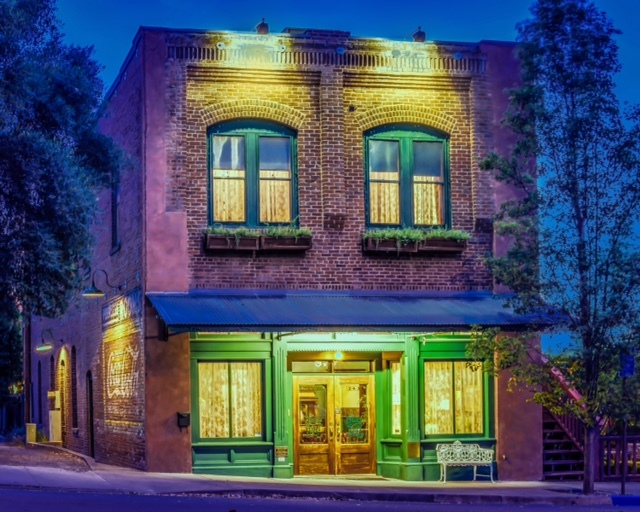 Long used for lodging in the railroad district (and known as “The Ganiard Building”), the vernacular “brick front” commercial style building is typical of the once prevalent rooming houses developed to serve the working-class men and women drawn to Ashland in the early years of the 20th century. It was during this time when such single-room occupancy was the norm for residents of a working-class community. Following the 1887 completion of a north-south rail link over the formidable Siskyiou Mountains to the south, the Southern Pacific Company and its employees assumed a major role in the Ashland economy. Since Ashland’s primary business district was located along Ashland Creek, over a mile distant from the tracks, a second commercial area developed along Fourth Street in what became known as “the railroad district.” Given the transitory nature of railroad employment, many of Southern Pacific’s employees kept to themselves, avoiding the Ashland community at large. A large number of rooming houses in the Railroad District also provided low-cost housing for a number of young laborers, single women, and traveling salesmen who were drawn to Ashland by the booming economy that the railroad stimulated. It was under the ownership of Sarah Meekly that the building received the name, “Peerless Rooms,” in 1910. A significant element of the building is the sign painted on the brick proclaiming “Peerless Rooms” (probably dating from around 1915) with an early “Coca-Cola” advertisement. The boarding house went through many unproductive uses and sat vacant for many years before Crissy Barnett Donovan purchased the building (In late 1991). 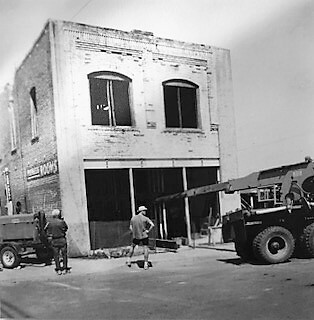 Acting as her own general contractor, she launched a massive two-year restoration of the building (including restoration of the Coca-Cola sign, long considered a “ghost sign”) completing the project in June 1994.